Here are the ten great ways to cut costs and improve your AC system. Switch to a compact fluorescent lamp (CFL), also called compact fluorescent light, energy-saving light, and compact fluorescent tube. Not only do they cut lighting costs, they cut cooling costs as well. That’s because, unlike incandescent bulbs, they give off very little heat. Ninety percent of the electricity used by an incandescent bulb is converted to heat rather than light. That extra heat means extra cooling expenses. Change or clean AC filters each month. Did you know that dirty air filters are the leading cause of air conditioning breakdowns and they cost about 7 percent more in energy costs? – especially here in our Hot Florida climate. During the summer months, change central AC furnace filters at least once per month. If you are using a window unit, you may rinse the filter monthly. This easy upgrade has a high return on investment. Setting your cooling system four to six degrees warmer when you are out of the building and automatically lowering it to 78 degrees when your are home can cut up to 20 percent off your energy bill. Fix leaks in AC ducting – If you live in a newer home (a home was built in the past 10 years), it probably has well-sealed duct work. But if you live in an older home, up to 40 percent of your cooling dollars is lost through gaps in the duct joints. This cool air is wasted when the ducts run through an attic, crawl space or basement. Our AC service technicians can test for leaks and make the necessary repairs. Check your AC system’s efficiency – Perform this test to determine whether your air conditioner needs a tune-up. Run your AC unit for at least 15 minutes when the outdoor temp is above 80 degrees F. With a clean air filter in place, set a thermometer on the supply register that’s closest to the inside cooling equipment. Keep it there for five minutes and note the temperature. Do the same thing at the return vent. The air coming out should be 14 to 20 degrees cooler than the air going in. If your air conditioner is not cooling to those levels it vould be low on refrigerant or have leaks. A unit cooling more than 20 degrees could have a severe blockage. Tune and clean your AC regularly – A poorly maintained air conditioner can use up to 30 percent more energy and has a shorter life. Central AC compressors last on average about 10 to 12 years. Proper maintenance can extend that to 20 years. It’s important to have a professional tune, clean and check controls and refrigerant levels on your central AC system every two to three years. 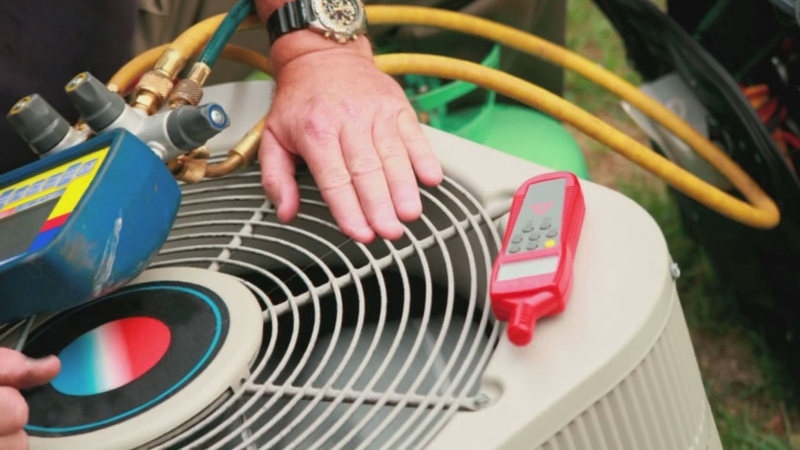 If your refrigerant needs recharging, this correction can improve efficiency by 20 percent. It’s also important to perform maintenance each year. Use window shades to block out the sun – Did you know that approximately 30 percent of unwanted heat comes through your windows? Putting shades, insulating curtains or tinted window film on south- and west-facing windows can save you up to 7 percent on cooling costs ($45 annually). Adding insulating curtains will save even more on both heating and cooling costs. Use shade to keep cool – You can cut AC costs by shading your house with trees, trellises and vines. Shading blocks direct sunlight through the roof and windows, which is responsible for about half of the heat gain in your home. Planting trees and horizontal trellises on the east and west sides can save up to 30 percent of a household’s energy consumption for heating and cooling. For an average household, that’s $100 to $250 in energy costs annually. Use fans and raise your thermostat – Ceiling fans can save you money by keeping you comfortable when your thermostat is set at a higher setting. 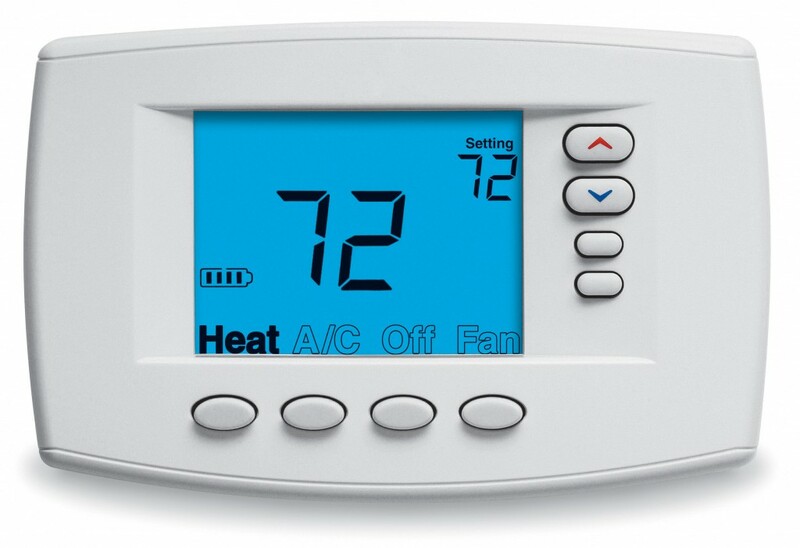 Each degree higher than 78 degrees will save you up to 10 percent on air conditioning costs. The moving air from a ceiling fan increases the amount of evaporation from your skin and helps cool you off. Replace your old air conditioner – Replacing a 10-year-old Air conditioning unit with an Energy Star model can cut your cooling costs by up to 50 percent. This will save you enough over the new unit’s lifetime to offset its purchase price. This is especially true if you live Central and South Florida where the climate is humid. Central AC units are rated for efficiency according to their Seasonal Energy- Efficiency Ratio (SEER). Window units are rated according to their Energy-Efficiency Ratio (EER). The higher the number, the more efficient the unit. If you double your SEER (or EER), you can cut your AC operating costs in half.